What connects Kampala and Istanbul? What connects Kampala and Istanbul? You might be thinking that Kampala and Istanbul are worlds apart, but volunteers in both cities rallied around a common cause for World Refugee Day - working together to map priority areas in Uganda that require urgent humanitarian assistance. With the protracted conflicts in Syria and South Sudan, displaced civilians continue to seek safety in neighboring countries and beyond. Turkey and Uganda have gained prominence on the world stage for opening their borders to receive refugees, particularly those fleeing from respective conflicts in Syria and South Sudan. More broadly, Turkey hosts the largest number of refugees in the world, with the UN High Commissioner for Refugees (UNHCR) citing an estimated 2.9 million people in country in 2016. Uganda hosts the largest number of refugees in Africa, with over 1.2 million refugees and asylum seekers in country today. And these numbers continue to rise. Empowering refugees and host communities are key elements of the Ugandan national strategy to ensure self-reliance, resilience and accountability to displaced populations, in a context where refugees are unlikely to return to their countries of origin any time soon. National and district level authorities’ capacity should also be enhanced to provide assistance and deliver services to refugees in the same way it does for Uganda’s citizens. This is in recognition that national, regional and local authorities have the primary responsibility to assist refugees. 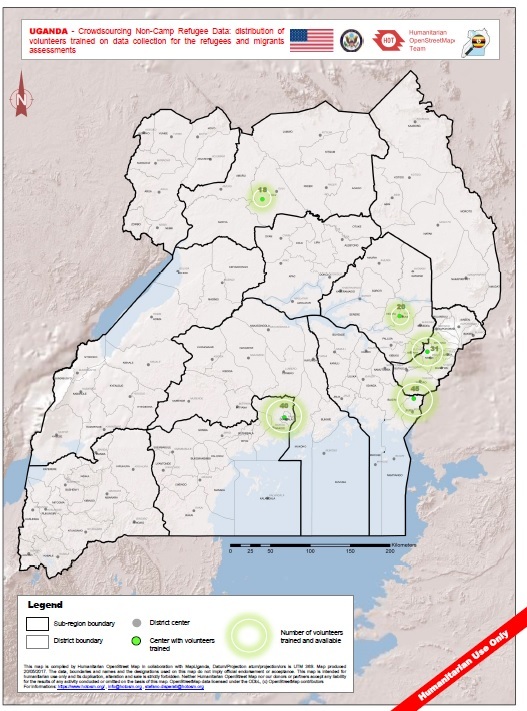 The Humanitarian OpenStreetMap Team (HOT) in Uganda works in tandem with the local organization MapUganda to provide OpenStreetMap (OSM) tools, training, information management products and advisory services to humanitarian organizations working with refugees. HOT provides OSM tools to international organizations, local government and refugee communities, along with training, information management support and advisory services. Several volunteers are periodically trained to use OSM tools, and ready to support the humanitarian community with extensive data collection. Key partnerships with UNHCR, WFP and international NGOs ensure that OSM assistance contributes to build a common operating picture for the response to the refugee crisis, avoid duplications and provide timely informed decisions to implementing agencies. 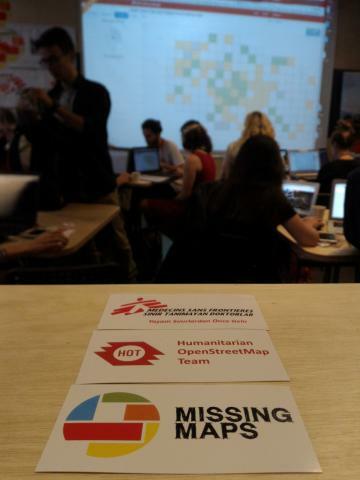 To respond to the situation in Uganda, HOT and Médecins Sans Frontières Turkey (MSF)organized Turkey’s First Missing Maps Mapathon in Istanbul on June 18, 2017. 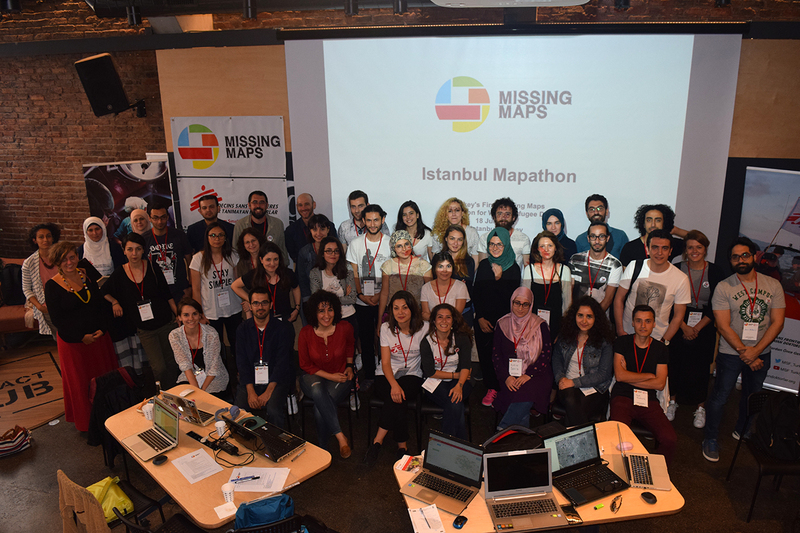 38 volunteers gathered at Impact Hub Istanbul to pitch in and stand #WithRefugees, demonstrating how volunteers can provide remote mapping support to assist refugees and bring humanitarian assistance to the ground. As residents who sympathize with the plight of refugees in their own country, the event provided participants with a unique opportunity to understand a different context, to show solidarity, and to give back. Participants in Istanbul mapped 2,550 buildings in the Boroli, Olua and Ayilo Refugee Settlements, and completed 75% of the targeted region. They learned about Missing Maps, and HOT and MSF’s work. The majority of participants were new mappers, and were excited to learn about OSM and discover how they could contribute. 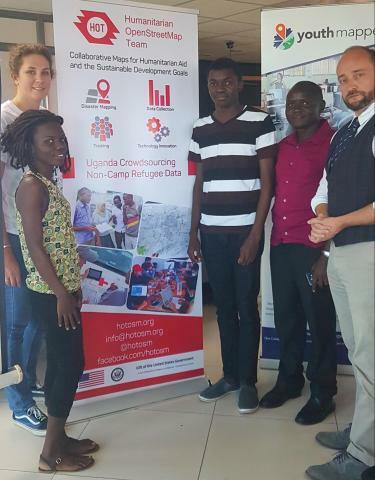 On June 20, the HOT team in Uganda organized a mapathon in Kampala, with remote connection from MSF’s office in Yumbe, to contribute to the provisioning of up-to-date information on refugee settlements and hosting communities. The mapathon gathered several volunteers, humanitarian workers and representatives from UNHCR and WFP, and targeted mapping of shelters, main roads, boundaries for Maji Refugee Settlement and Adjumani Town. Gift of the United States Government - Bureau of Population, Refugees, and Migration - US Department of State.